This sleek looking dehumidifier has a high 70 pint per day capacity, and comes with an integrated pump. Dampness, mold, and mildew certainly aren't good for your health or your homes structure, but they can be easily prevented with this sleek black ENERGY STAR rated 70 pint (33.1litre) portable dehumidifier from Danby. It will help eliminate up to 70 pints of moisture from the air every 24 hours in spaces of up to 4,500 square feet. Featuring unique 'Smart Dehumidify' technology, this unit will automatically adjust to the optimal humidity setting based on the room's ambient temperature so you don't have to continually adjust your settings as room conditions change. Now isn't that easy? The LG PuriCare 70 Pint Dehumidifier is as unique and attractive as it is functional. 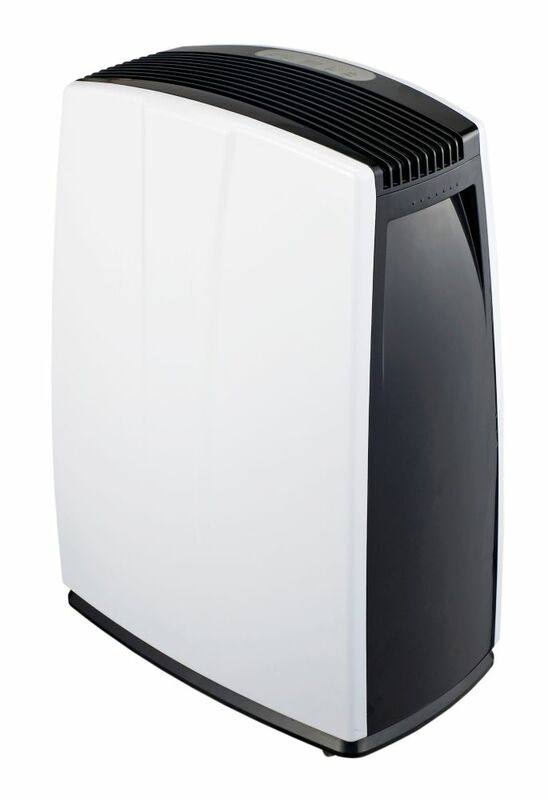 This dehumidifier can blend into a living space while capturing the humidity that causes discomfort in the home. The product is easy to use with features like digital controls, clear bucket, and a solid handle that simplifies emptying the bucket. The LG PuriCare dehumidifier is a perfect answer for reducing risk of mold and creating a dry comfortable home. Seventy pints is a whole lot of water. Can you imagine those tiny moisture particles floating through the air, creating an icky feeling of dampness? With this 70 pint Energy Star dehumidifier from Perfect Aire, you'll feel dry and comfortable in any season. It's powerful enough to remove the sticky humidity from spaces up to 4,500 feetand it does so with quiet efficiency. Prefer the air more or less dry? You're in control with the adjustable humidistat and comfort option, which controls humidity based on room temperature. A TCL ENERGY STAR rated dehumidifier does so much more than keep humidity at bay. Our dehumidifiers also maintain the comfort of your home by curbing mold and mildew to promote healthy air quality. Breathe easy with our DEA70E 70 pint dehumidifier. With it's easy to use electronic controls and continuous-use option, this dehumidifier will keep your home comfortable. Airworks 70 Pint Dehumidifier with Pump This sleek looking dehumidifier has a high 70 pint per day capacity, and comes with an integrated pump.